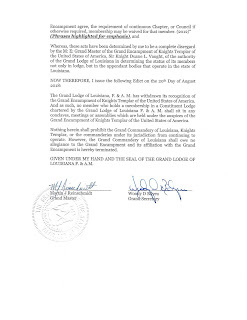 MW Martin J. Reinschmidt, Grand Master of the Grand Lodge of Louisiana F&AM, has just issued Edict No. 2018-02, withdrawing recognition of the Grand Encampment of Knights Templar of the United States. 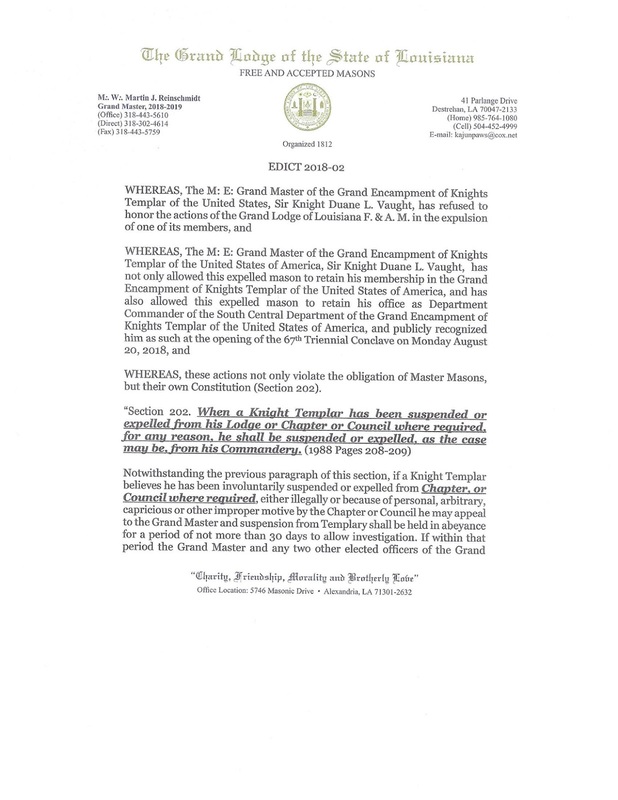 As of now, no Louisiana Freemason may currently sit in any Templar conclaves, meetings or assemblies in or outside of that state that bear allegiance to the Grand Encampment. The news comes on the opening day of the 67th Templar Triennial Conclave in Indianapolis today. 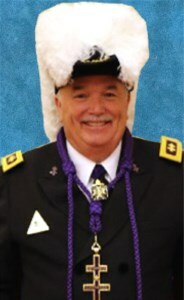 At the annual communication of Louisiana earlier this year, their Grand Lodge voted to expel Past Grand Master 2012-13 Frank N. DuTreil, Jr. (photo) from the fraternity. (He had been previously suspended in June 2017, according to their 2017 Annual Proceedings, which is easily available online. The suspension was overturned in July 2017 by vote of the GL, and DuTreil was subsequently reprimanded.) 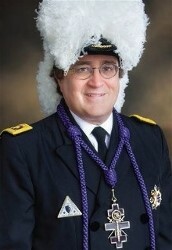 However, according to reports out of Louisiana over the weekend, Knights Templar Grand Master, Most Eminent Duane L. Vaught and the Grand Encampment allegedly did not honor that expulsion, and permitted DuTreil to remain, not only a Sir Knight, but to continue serving as the Department Commander for the South Central Region. DuTreil was reportedly permitted to attend the Triennial's public events today and was introduced during the opening this morning. This was clearly seen as an affront by the Grand Master of Louisiana. Longstanding practice in the regular, recognized Masonic world is that an expulsion from a Mason's home jurisdiction is to be honored by the appendant bodies, and the member be likewise expelled from all Masonic groups. A similar impasse occurred many years ago in Arkansas when the Shrine failed to honor an Arkansas Mason's expulsion in that jurisdiction. The result of that action was that the Shrine to this day is no longer affiliated with or recognized by the Grand Lodge of Arkansas, and Masons in that state are not permitted to be Shriners. 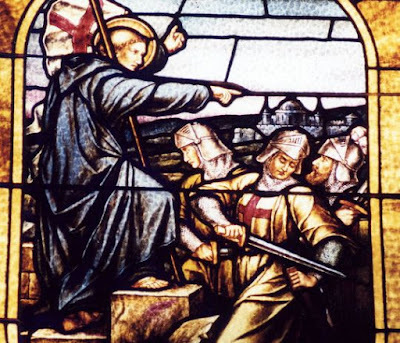 Hopefully, this current imbroglio with Louisiana and the Knights Templar won't become that drastic. The Triennial continues in Indianapolis this week, and election results of new officers will be announced soon. Rather than wait a few days for the election of a new Grand Master of Templars, the GM of Louisiana chose to take the nuclear option, which is certainly his right. Appendant bodies are subordinate to the grand lodge within a jurisdiction, so this was a pretty cut and dried decision on his part. 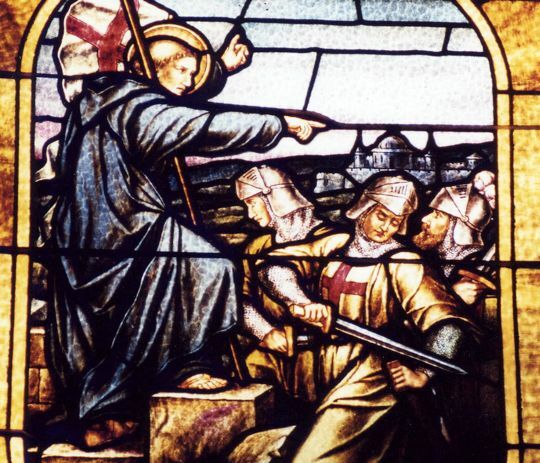 By the way, in other news, Pete Normand reminded me that today, August 20th is the Feast of St. Bernard of Clairvaux (1090-1153), patron of the Knights Templar. I spoke by phone this afternoon with Most Eminent Grand Master Duane L. Vaught of the Grand Encampment. I have offered to post any statement or rebuttal that he, the GEKT, its grand officers, or its legal counsel wish to issue, in full and without any opinion or commentary on my part. With the Triennial continuing to dominate their attention this week - along with my own erratic posting schedule while on the road this month - that may not be immediate. But if they choose to do so, I will post it on this blog in as timely a manner as I am able. I have just posted MEPGM Duane Vaught's response to this blog entry, along with supporting documents by him. 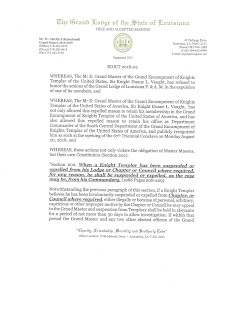 Colorado Knight Templar (and law student) Ben Williams has posted an extremely detailed delineation on the Rocky Mountain Mason blogsite of the incidents and actions leading up to DuTreil's original suspension and ultimate expulsion from the Grand Lodge of Louisiana.Williams is arguing that DuTreil could NOT YET be expelled from the GEKT because due process hadn't been followed. Seriously, why is this an issue? He was expelled by his GL, meaning he’s not a mason in good standing, meaning no Chapter or Council (if Council is required). WTF is GEKT doing picking fights with GLs? Wow, I would really like the details of WTF Happened??!! The article is fairly clear. Frank is currently expelled yet GE still carries on as if he weren't. 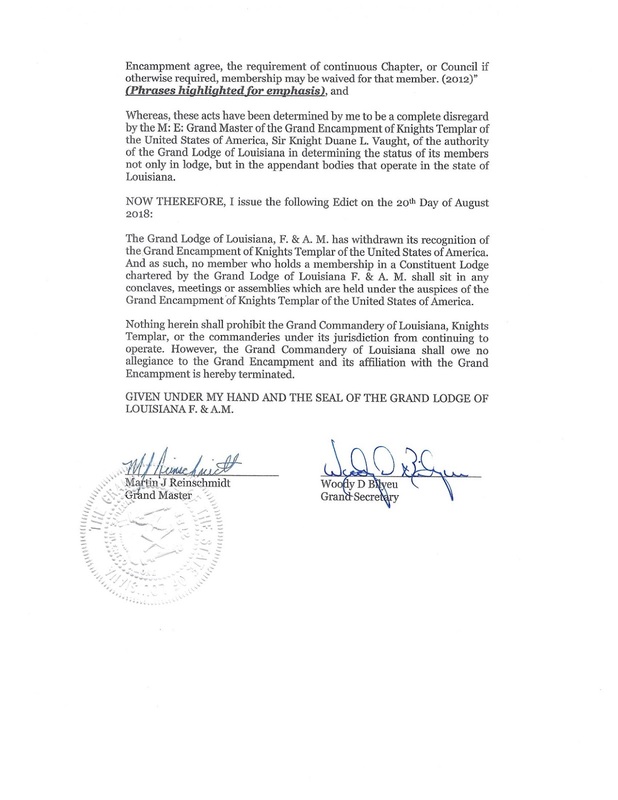 I guess the question burning in my mind is just why was Past Grandmaster du Trell expelled from the jurisdiction of the Grand Lodge of Louisiana? If it was a trivial reason or personal vendetta from the Grand Lodge then I can see reasons for this from the Grand Encampment. But if it was for valid reasons as spelled out in the Constitution of that jurisdiction then probably more jurisdictions should follow suit. It wasn't trivial. He has for about three years now stirred up controveesy and contention at the GL session rather than attempt to maintain peace and harmony or act as a Christian Knight should. Why on earth is a past grand master being expelled? 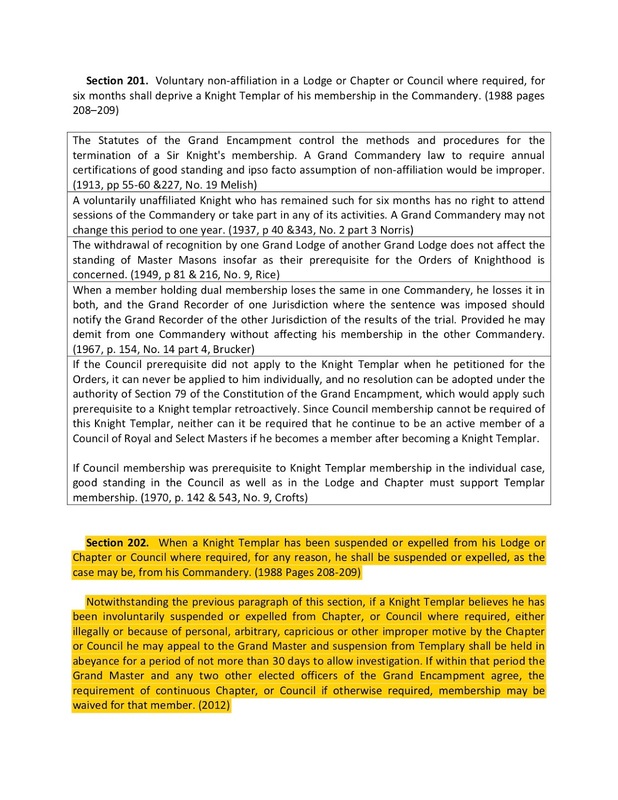 Interestingly enough, a Grand Master of Masons has no authority to declare a Grand Commandery in his jurisdiction has no allegiance to the Grand Encampment. This is a serious case of one man on a power trip, something I am all too familiar with. Wrong. A GM can declare any organization within his jurisdiction to be unmasonic. In this case, since the Grand Encampment did not recognize the expulsion, the GM is right. No, but he does have the authority to state that Masons in his jurisdiction can’t attend meetings of a body deemed clandestine. By deeming the GEKT clandestine, local Commanderies have a choice of cutting ties to GEKT, or expecting their members to attend a clandestine body and/or losing their members. All Masons are sworn to their Lodge and Grand Lodge. All appendant bodies are just that. If expelled that is all encompassing. In the last paragraph of the edict, he terminates the affiliation of the Grand Commandery of Louisiana with the General Grand Commandery. He specifcally allows Louisiana commanderies and Grand Commandery to continue to operate as before, with that notable exception. I surmise he wishes to insure he has their full and undivided attention during the remainder of the Triennial. Louisiana does border on Arkansas. Yeah. You can do anything when you're leaving office. But if you violate GE law isn't that a Masonic offense or at the very least conduct unbecoming of a Knight? Just another example of Grand Encampment thinking that they had more power than God. 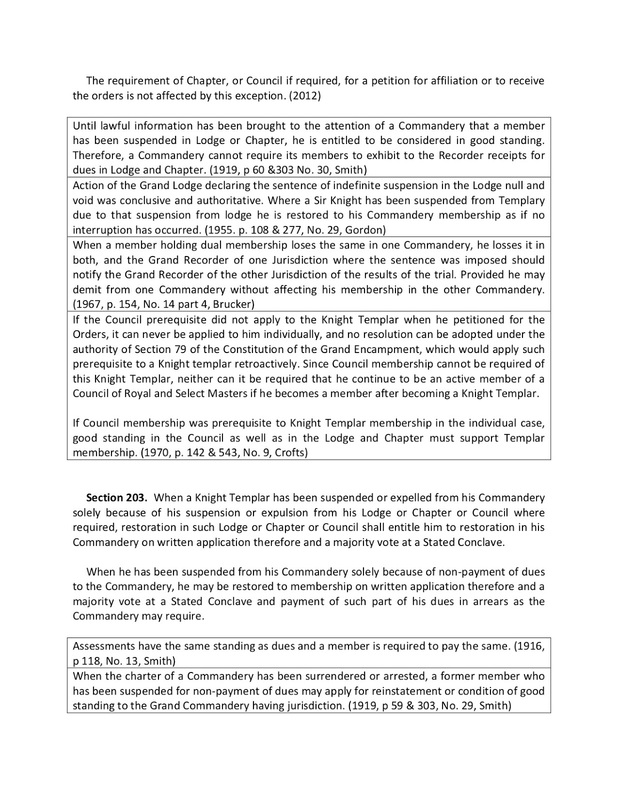 Maybe the Grand Encampment officers should get their egos in check and go back and remember their blue lodge obligation. The Grand Master of Louisiana F&AM is the final authority in all matters. The past grand master expelled was sentenced by the prior GM, the subject and sentence was duly reviewed, studied, discussed,and approved after all Masonic information had been adjudicated by Law and Jurisprudence of LA. G.L., voted at the GL session and action confirmed and approved by the voting membership. The details were presented and were known to the voting members. Every Masonic body is governed by the Grand Lodge of that state, and no other state may question it's decisions or reasons. Landmark #1 The Grand Lodge is the supreme governing body within its territorial jurisdiction. The powers of the Grand Lodge are derived from the Ancient Landmark, usages and customs of Masonry. It has original and exclusive jurisdiction to enact and enforce all laws and regulations for the government of the Craft. Spot on. Like it or not, that is the way things Masonic are doing. Period. (Seriously, fellas. Please go back to signing your name or otherwise identifying yourselves. Google has wrecked their old sign-in system, but I don't want to have to delete comments. I've been flooded with spam comments for months now, and approving comments all the time is getting tough. It's a simple matter. The man was expelled by vote of the GL (I was there) and he is now an expelled Mason. What are all the details and what is the charges? Well, they were SERIOUS and they were valid and accepted by the GL. That's it. He is and was expelled. He is not a Mason and if anyone feels they have the authority to ignore a GL well, that's not Masonry in action in my book. Again, is this a power trip by a GM? No, the man was expelled by the GL - I was there. Will there be a disgruntled group yelling, "Oh, they are picking on this good Mason by evil GL officers and GMs"? Sure, but it NONSENSE! I was a sitting WM at GL and I am one of the ones who voted on him being expelled! Unfortunately, in my humble opinion In today's day and age Masonry fosters Narcissism. Often times Grand Masters rule by edicts to satisfy their ego's and they have the final say. Should they overstep the Masonic Constitution or their authority in all but very few cases they get away with it. There are good and bad men in all fraternities howerever none are as powerful or as full off...themselves as are bad Grand Masters. hear the brethren say, "Well, if GL deems it so, then it was justified. I would not agree to something so open and all encompassing and I am concern that the rights and benefits of a Master Mason would be so conditional to them. Every Master Mason is entitled to a Masonic Trial; it is one of the "rights". If the Master Mason in question was expelled by GL following a trial, then I agree whole-heartedly. If he was expelled on the edict of a Grand Master, well then I would say (as others have been done in the past, well, then I would say not so much. We talk about respecting the laws which govern us that outsiders may affirm our integrity, but if we disregard the rights and benefits of the individual member, then we are especially corruptible. I do not if such is the case or not, I just wish to admonish those taking a position that GL should not be an absolute positioning in such a circumstance. The best to all brothers and fraters in this time of trouble. For anyone wondering why DuTreil was suspended in the first place, please see page 170 of the MWGLoLA's annual proceedings for 2016-2017. I'm curious to see the ruling on his expulsion in the 2017-2018 proceedings. Glad to see others are aware of valid LA research. I don’t understand why this is a continued issue in US Freemasonry. 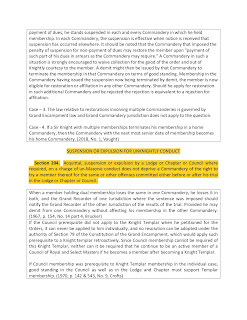 The rules are clear that an expelled Mason loses his membership in all appendent bodies as well. This is nothing new. — Tim Bonney, PM Legacy Lodge No.. 678 Des Moines, Iowa. I don't quite understand, looking at the synopsis of the GL of LA (http://library.la-mason.com/PastProceedings/2017/2016-2017.pdf page 170) it appears the suspesion was overturned. 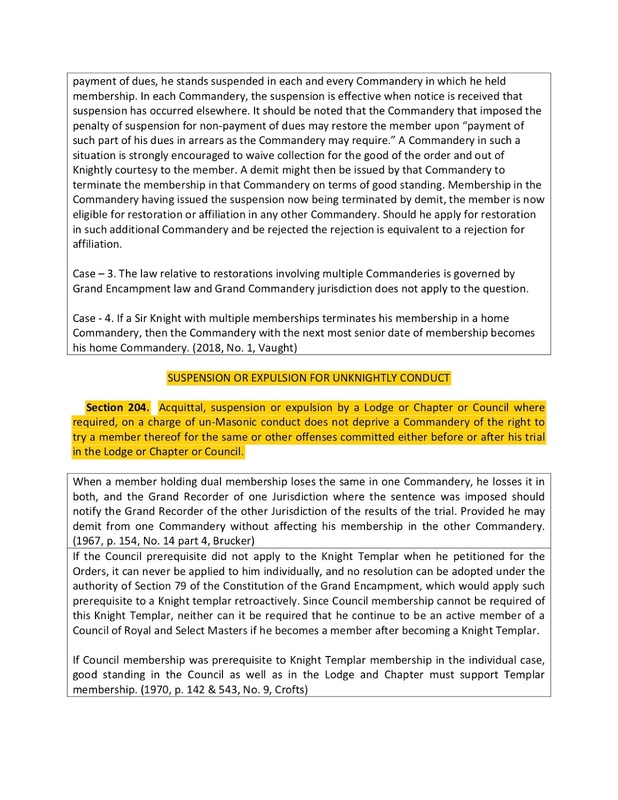 "...At the July 1, 2017 session of the Annual Grand Communication, the ruling was moved as stated, was properly seconded, and was overturned by the duly registered delegates of the Grand Lodge"
He was instead reprimanded and he apologized, but he continued in his unMasonic conduct and was later suspended. When that didn't stop him, he was expelled. Ok, thanks for the clairification. That makes sense. That was last year after he attacked other GL officers. He apologized on the GL floor and was reinstated after rerimand. The problem is he continued acting the same way. Since past grand masters generally have accumulated life, honorary, and other memberships in a number of blue lodges and in many other Masonic groups, the standing of someone who loses membership in a lodge but is a member of other lodges becomes complicated. Life membership carries with it in some jurisdictions a common law fiduciary and property privilege. That was at our 2017 Annual Grand Communication. This individual's Masonic status is the result of the vote taken at our most recent (2018) Annual Grand Communication, the proceedings for which have not yet been published. Thank you, that make moe sense to me now. He was expelled for insubordination to the Grand Master, by failing to appear as summoned, on two occasions prior to this year's Grand Lodge session. Similar to what Paul Rich says, there have been times when I Brother was suspended or expelled by one GL, but maintained membership in another. It is -tradition- that suspension/expulsion in one GL causes automatic suspension/expulsion in any other GLs in which the Brother might hold membership, but it is not always the case, not should it be. Take this hypothetical: a Florida Mason expelled for religious reasons during that fiasco a few years back, who also has membership in another GL, which reviews the situation, finds the expulsion to be unMasonic in its justification, and thus doesn't punish the Brother. What is his status with regards to appendant bodies? Something similar happened in my lodge. A member neglected to pay his dues to a military lodge, and was suspended here in Texas as well. This happened maybe 15 years ago, and as far as I know, he remains suspended here until such time as he chooses to settle his issues over his dues. In a way this is sad, if mistakes were made then fix them. We should not be fighting with each other, we need to keep and grow our membership! Not divid ourselves! If a Mason is a member of more than one jurisdiction, in general, if he is suspended or expelled in one jurisdiction, he is suspended or expelled in all others. But there are and should be times when that doesn't happen. So this has nothing to do with the fact that the Grand Encampment recognized Prince Hall Templars? Grand Lodges are sovereign, and for their time in office, Grand Masters are monarchs. Some out there think this was a vendetta against Mr. du Treil while others say his expulsion was 100% justified. One way or another, it doesn't matter. He is expelled, and no Grand Lodge would tolerate rebellion from an appendant organization. I think what we're seeing is members of the Grand Encampment who forgot that they are, first and foremost, Freemasons, and that their primary allegiance is to Freemasonry and not to this or that Masonic body. "Sir Knights who are coincidentally Freemasons," so to speak. I suppose MW Reinschmidt just schooled them otherwise, and I would suggest the Grand Encampment is on thin ice. I'm certain every Grand Lodge around knows about this, and I'm equally certain none of those Grand Lodges would tolerate such rebellion. The Grand Encampment, no matter their regard or affection for Mr. du Treil, is absolutely on the wrong side of this, and had to have known the risks entailed in flouting the laws of the Louisiana Grand Lodge, and I have to point out, their very own laws as well. For the Grand Encampment this will mean continued lack of recognition by Louisiana. But if necessary, Templar Masonry can do fine without Louisiana within in the fold. Not saying this is the best option, but it is AN option. The GE indeed went for Option 3 and we see where that got them. And yeah, they'll survive, just not in Louisiana, like the Shriners survive anywhere but Arkansas. But that's like cutting off your nose to spite your face, ain't it? And what happens if other Grand Lodges follow suit with Louisiana (which might yet happen) and they suddenly find themselves unwelcome in eight or ten states? What has been happening in Masonry over the past few years is a complete disgrace and an insult to the very core of Masonry.In the last two regimes, approximately 100 brothers have been suspended or expelled. 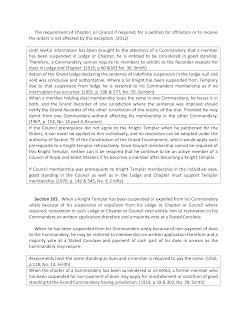 I was sissuspen and consequently expelled for violations that didn't exist in the handbook of Masonic law. Of course the investigation committee, who the Grand Master referred to as his henchmen, also sat on the grievance committee,said I was guilty. Since I was suspended, I. Could not fight my case at the Grand Lodge. 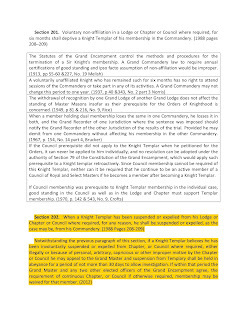 One of the members of the" Henchmen" is presently the Grand Master.Dont disagree with the Grand Lodge or you will have your card yanked an you have no recourse Some of the brothers have suef and have to pay for their attornies fees where the Grand Lodge officers attorney fees are paid with Grand Lodge money.your money!!!!!!! The Grand Encampment (GE) will suffer financial pain if this isn’t quickly settled, because the now defunct Grand Commandery of Louisiana won’t be able to pay the GE assessments at year’s end. Barring extraordinary circumstances, of course. Before judgements are made, someone had better understand the legal implications of just"withdrawing from the Grand Encampment". My understanding is that Commandery assets belong to the Grand Encampment, and that includes those Commanderies who were under previous jurisdiction, but eventually joined the Grand Encampment. Withdrawing recognition is one thing, but affiliation or membership has potential real legal and monetary implications. Please prove me wrong on this!